Ok I promise....no more this year. Here it is....the 30th anniv. SR5. 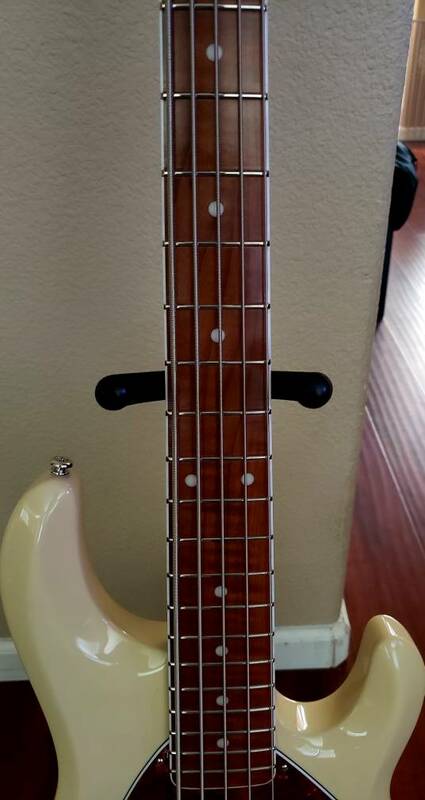 YOU GUYS DID AN AMAZING JOB ON THIS BASS!!!! Wow. If I ever take the plunge on a 5-string, that's the one I want. I get middle of the night texts from C. Young telling me I will not live if I don't have one. Beautiful !!! Are you going to play it or keep it mint. Those pics make me want one! But have SR5s. In my case I am better off putting the funds to get a Caprice when I can. Gonna play it, because that's what awesome bass guitars are for! A Caprice will be my next one. But that will be awhile. Or I'm gonna be in BIG trouble. Congratulations on an amazing bass!! !